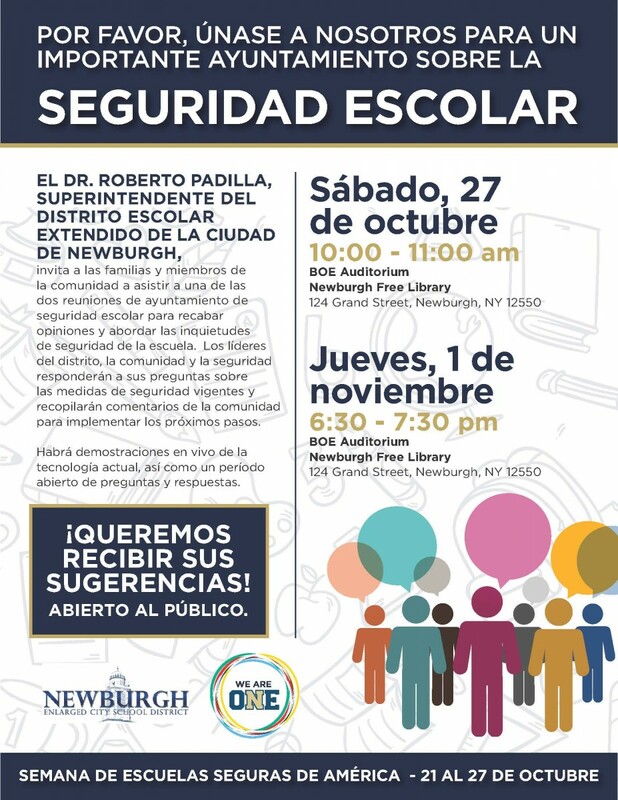 Newburgh Enlarged City School District Superintendent Dr. Roberto Padilla invites families and community members to attend one of two school safety town hall meetings to gather input and address school campus safety concerns. District, community, and security leaders will answer your questions regarding safety measures in place, and gather feedback from the community for implementing next steps. There will be live demonstrations of current technology in place as well as an open question & answer period.